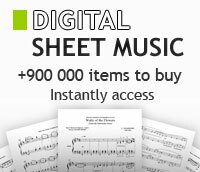 All clarinet sheet music from Solo PLus collection. By Shulamit Ran. For Clarinet. Composed 2000. Duration 8:00. Published by Theodore Presser Company. By Miklos Rozsa. Published by Broude Brothers. By Krzysztof Penderecki. Schott. Size 9x12 inches. 3 pages. Published by Schott. By Alexander Borodin; Kalmen Opperman; Modest Mussorgsky; Nikolai Rimsky-Korsakov; Peter Ilyich Tchaikovsky. Text: Kalmen Opperman. For Clarinet. Soft Cover. 144 pages. Published by Carl Fischer. 4 Clarinets. By Faustin Paul Jeanjean. For Solo Clarinet and 4 Clarinets- Score and Parts. Score and parts. Published by Billaudot. Clarinet Solo. By Joan Tower. Woodwind Solo. Size 9x12 inches. 7 pages. Published by Associated. By Bruno Mantovani. Published by Lemoine. By Igor Stravinsky. For cl. Duration ca. 4 minutes. Published by Frank E. Warren Music Service. By Francois Couperin. Edited by David Shifrin. Arranged by Frank Erickson. For Clarinet. Woodwind - B-Flat Clarinet Solo. Level: (I) (grade I). 8 pages. Published by Alfred Publishing. Composed by Gordon Jacob (1895-1986). Collection for solo clarinet. 6 pages. Published by Oxford University Press. For Clarinet Alone. By Elliott Carter. (Clarinet). Boosey and Hawkes Chamber Music. Size 8.5x11 inches. 12 pages. Published by Boosey & Hawkes. By Frank Erickson. Edited by David Shifrin. For Clarinet. Woodwind - B-Flat Clarinet Solo. Level: (I) (grade I). 8 pages. Published by Alfred Publishing. Music Sales America. 20th Century. Published by Music Sales (HS.14028019). Composed by Gabriel Jackson (1962-). 16 pages. Duration 9'. Oxford University Press #9780193356801. Published by Oxford University Press (OU.9780193356801). By Hans Ulrich Lehmann. For clarinet. This edition: paperback. 8 pages. Published by Breitkopf and Haertel (German import). By Luciano Berio. Published by Universal Edition. By Frank Erickson. For 1st Clarinet. Band Supplement. Book. 24 pages. Published by Alfred Publishing. Clarinet. By Carl Orff. Arranged by John Krance. (Clarinet). Schott. Book only. Published by Schott. Description Lennox Berkeley, Three Pieces for clarinet edited by Thea King, written for clarinet in A. Composed 1939. Clarinet Goes All Time Standards - Clarinet; Piano Ad Lib.